If you have the desire and intention to commune with nature, practice yoga and meditate, you need look no further as The Sanctuary at Two Rivers, a private luxury-modern eco-estate rental property and Yoga Retreat Center, has all the facilities you have been craving. 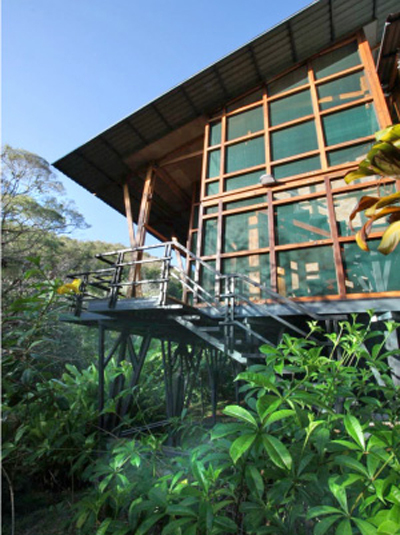 This wildlife and retreat sanctuary with 100% off-the-grid solar powered private residence is located just two miles from Costa Rica’s first National Nature Preserve, Reserva Cabo Blanco. They have a private park located a mere 1000 yards from the Pacific Ocean. This private park is home to countless species of flora and fauna; including exotic mammals, birds, butterflies, reptiles and amphibians that are common to Central America. 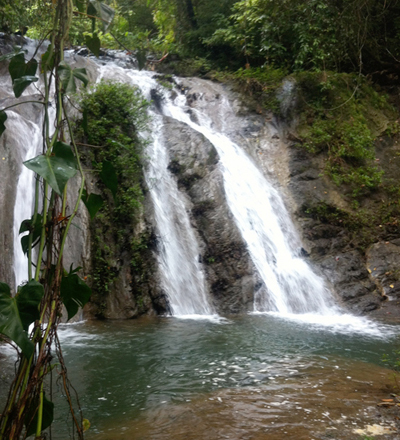 You will enjoy a nearly mosquito-free climate, waterfalls flowing year round and wildlife beauty of this heavenly sanctuary. A week at The Sanctuary at Two Rivers will refresh your heart, mind and body straight from my arrival. They describe the design of The Sanctuary at Two Rivers’ accommodations as “Tropical Modern Zen”. All the structures are designed using Japanese architectural flair. 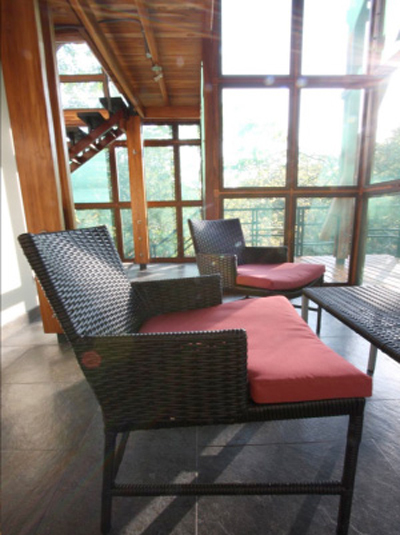 Rich tropical woods are used to make the structures eco-friendly. 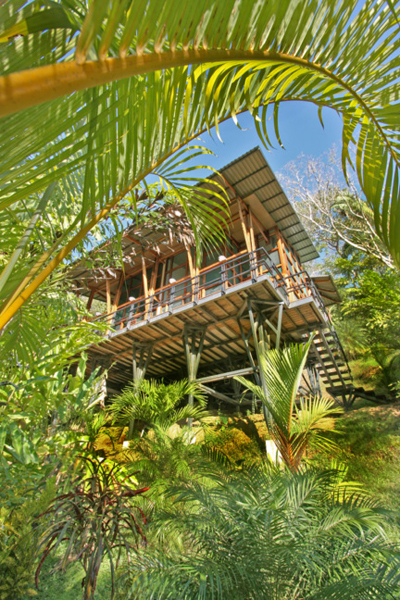 There are six jungle treehouses. All these houses are built using tropical woods with a flavor of typical architectural tradition. If you want to enjoy forest canopy and her passing monkeys, singing tropical birds, and scented floral trees from eye level, these treehouse are the best options. All these six treehouse have screened-in open-faced walls. You will enjoy vintage viewing of wildlife through the screened-in open-faced wall. These screen walls allow the pleasurable sun and moon light to come and re-energize you. These treehouses are perfect for a relaxing and revitalizing vacation. The interior of these treehouses is eco-friendly, modern and eye-catching with guest beds having an unencumbered view to the jungle. After visiting tropical garden and wildlife, solar hot water shower with great pressure and wide shower head will help you to get refreshed. There are four waterfalls, just a few steps outside your door. All guests must arrive at The Sanctuary no later than 3:00pm on arrival day. Please plan your schedule accordingly. General Check In time is 3:00pm. General Check Out time is 10:00am. Pack light. You really do not need that much stuff in the jungle. But what you do bring is important for your best experience. This is a nourishing and revitalizing Yoga Retreat. Leena Patel, a visionary in applying the art of skillful yoga and inner wisdom to facilitate profound physical and emotional healing, hosts this life tranforming retreat. She will teach you the secrets of natural and self-healing which is referred to automatic, homeostatic processes of the body that are controlled by physiological mechanisms inherent in the organism. A life transforming retreat, hosted by Silvia, a truly one of a kind yoga instructor. She lives, breaths, and exudes yoga with every step and beat of her heart.She owns a successful yoga studio in Chicagoland Total Body Yoga, named the best Yoga Studio of 2010. She have over 50 weekly classes and a team of 15 teachers in 3,900 square feet of wellness space and have happily welcomed over 8,000 students in 8 years. Another host of this excellent retreat is Jacob Young, an experienced and friendly yoga instructor. 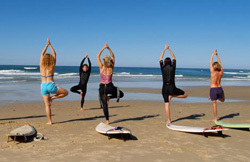 This week long retreat has been designed combining the teachings of Yoga and the techniques of surfing. Meditation sessions, an essential part of the retreat, will help you to get equanimity and balance. Richard, Elijah Guy and Lynda Carré, three master yoga instructor and meditation expert will guide you throughout the sessions and help you to get a perfect mind-body alignment.